TheA?first Rhythm ChangesA?ConferenceA?will take place in September 2011 and will be hostedA?in partnership withA?the Conservatory of Amsterdam.A? The three-day Conference will explore the themeA?of ‘Jazz and National Identities’ and will include presentations fromA?an international line up of jazz researchers. 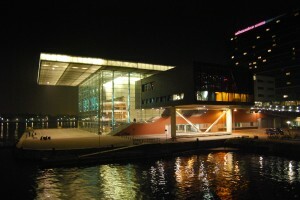 The Conference will open with a welcome reception and double-concert in the legendary Bimhuis, Thursday September 1. The concert opens with Tin Men and the Telephone, one of the hippest, hottest bands out of the Conservatory of Amsterdam. It continues with the top-notch Dutch improv quartetA?MOORE/JANSSEN/GLERUM/JANSSEN/VAN GEEL – withA?Michael Moore (reeds), Oene van Geel (viola), Guus Janssen (piano), Ernst Glerum (bass), and Wim Janssen (drums). Throughout its history, jazz has played an important part in discourses about national identity, politics and cultural value; indeed, the music continues to play a complex role in the cultural life of nations worldwide. 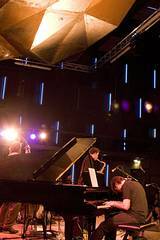 Within this context, jazz is an ideal cultural form from which to explore a number of critical questions bound up with national identity, from the development of national sounds and ensembles to the politics of migration and race, from the impact of globalisation and the hybridisation of musical styles to the creation of social institutions and distinct communities, from jazza? ?s shifting aesthetic status from popular to canonical a??arta?? music.